You might notice something different about the staff and volunteers at Sacrewell next time you walk through our door. We’re wearing a different colour. Our new uniforms, featuring the Sacrewell brand arrived this week, and we’re quite proud of them. Decked out in grey and navy, the photo shows our general manager, Mike, and office assistant, Anna, modelling the new kit. Marketing executive Megan Allen thinks the new uniform is already having an effect on the team. 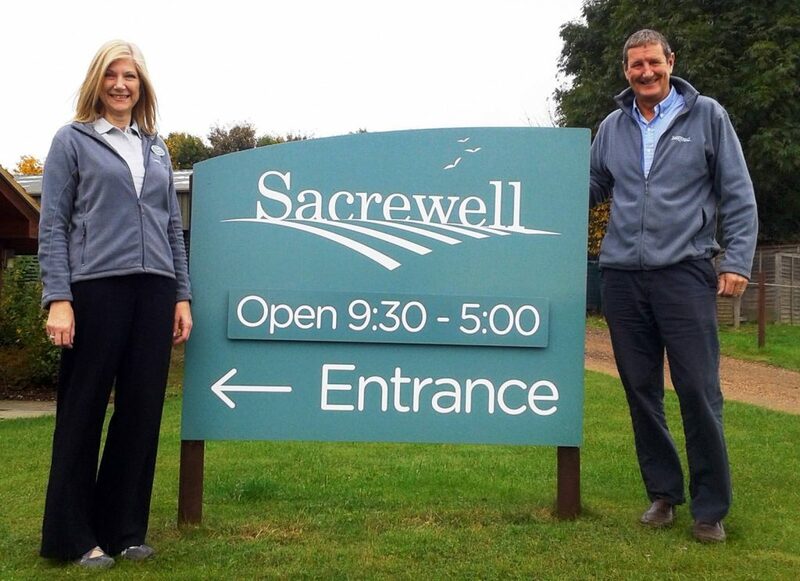 She said: “The Sacrewell brand has been developed to bring us in line with other heritage and non-for-profit attractions, and the new uniform is a part of that. “We’re already getting comments about how much smarter and more professional it looks. It also means that we’re all identifiable to our visitors as Sacrewell staff. Each person has a name badge so that you’ll know who’s who from now on and we’re always happy to stop and chat or answer your questions about the site.